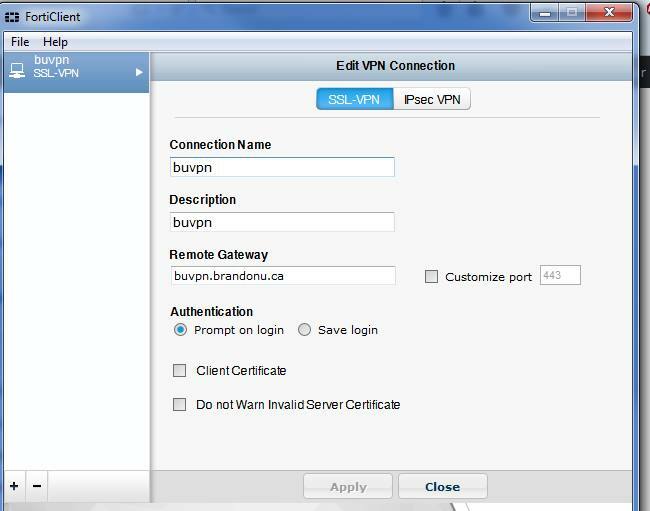 Using the VPN you can configure either remote access, remote control, or both. 1. Remote access is accessing websites (such as empcentre) or other resources such as the N: and printing while using a computer off-campus. User ID and password is your regular BU username and password. Add bookmark for each resource. Click the link to start connection. Click on the link for the appropriate client. 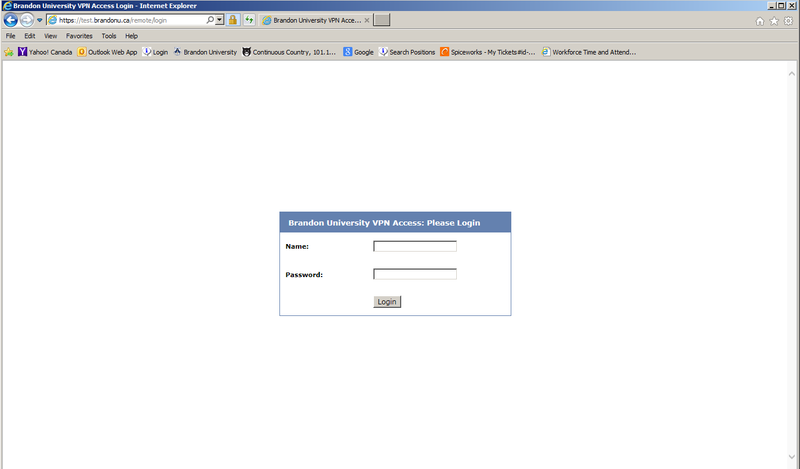 You can run Remote Desktop, VNC, SSH, Mathematica, or SPSS applications on your computer and they will connect to Brandon University addresses.